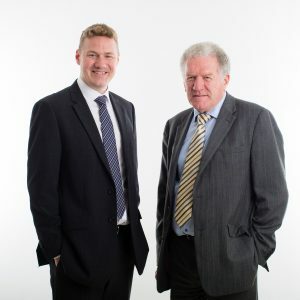 BC Asset Finance Ltd was founded by Bob Campbell in 2002. Bob was formerly the Area Manager for UFB Humberclyde and the Regional Manager at ING Lease (UK) Ltd. He has over 30 years’ experience in Finance, particularly in Agricultural, Construction and Commercial Vehicle sectors. Before his career in finance Bob graduated from Queen’s University Belfast with a degree in Agriculture and worked for eight years developing dairy and arable farms in the Middle East. In 2015 Bob’s son, Jonathan, joined the company. Having graduated from Queen’s University Belfast and CAFRE Loughry College, Jonathan then worked in the NI food and drinks sector for over 10 years. In September 2018 he was awarded The Diploma in Asset Finance from the London Institute of Banking and Finance, becoming one of the only holders of this qualification in Northern Ireland. The aim of BC Asset Finance Ltd is to help clients to obtain the necessary equipment or machinery for their business, by offering bespoke finance packages to suit their needs. We have access to a wide range of funders, so we can find the right deal for our clients. We treat all our customers fairly and responsibly, and are approved and regulated by the Financial Conduct Authority (FCA). We are also members of the National Association of Commercial Finance Brokers (NACFB) and the Federation of Small Businesses (FSB).